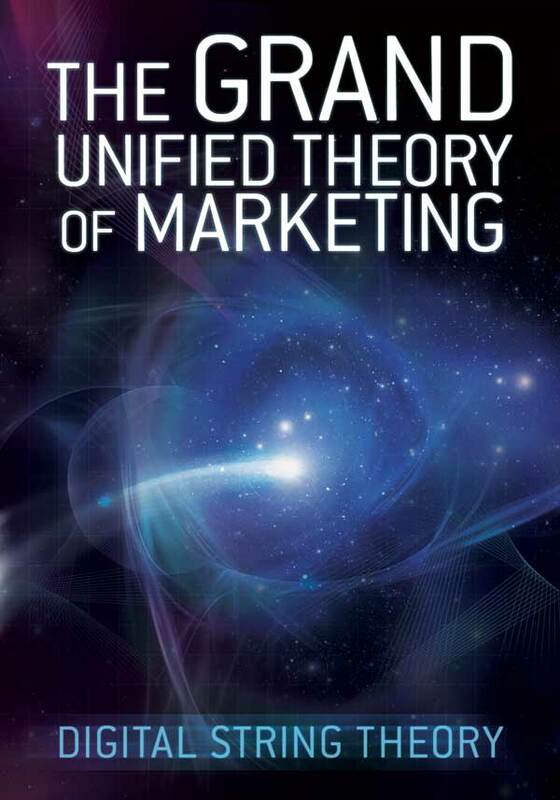 Marketers are beginning to focus on getting out real-time messages that respond to what consumers are doing “now.” According to an April 2013 survey from the Direct Marketing Association (DMA), on behalf of Neolane, a real-time marketing technology provider, 77% of marketers in North America said real-time personalization was a high priority. While there is still some question as to what marketers mean when they talk about “real-time marketing,” the survey found that definitions are crystallizing around one primary idea of “dynamic personalized content across channels.” Subscribed to by 43% of marketers, this response had a 30-percentage-point lead ahead of the next most popular definition. Marketers who spend more than 50% of their lead generation budget on inbound marketing channels report a significantly lower cost per sales lead than those who spend 50% or more their budgets on outbound marketing channels, according to the “State of Inbound Marketing Report” [pdf] from internet marketing firm Hubspot. 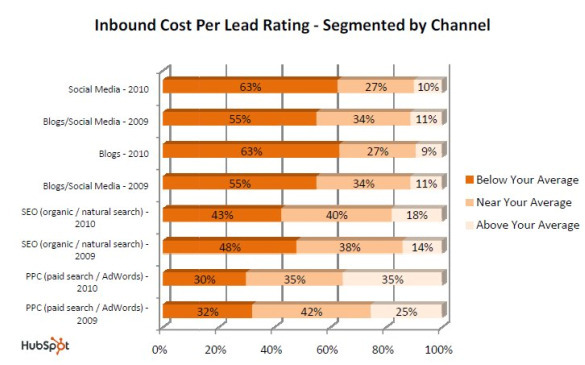 The average cost per lead by inbound marketing-dominated firms in 2010 is $134. This is $198, or 60%, less than the $332 average cost per lead at outbound marketing-dominated firms. This percentage differential has remained consistent from a 61% higher average lead generation expense reported by outbound-marketing-dominated firms in 2009. When asked to rank each lead generation category as “below average cost,” “near average cost,” or “above average cost,” businesses consistently ranked inbound marketing channels as having lower cost than outbound channels. 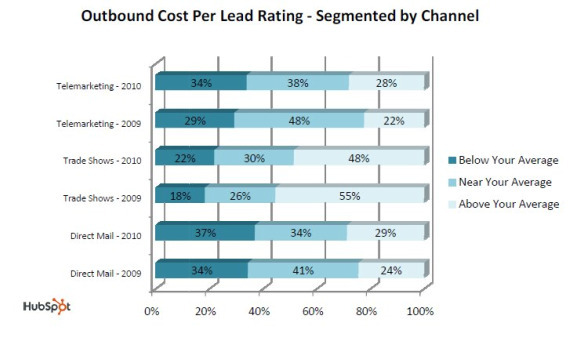 Only PPC (pay-per-click search) had overall cost rankings comparable to those given outbound channels. Social media and blogs had the highest “below average cost” rankings for both 2009 and 2010 (55% as a combined category in 2009 and 63% separately in 2010). Trade shows, with their requirements for travel and expenses, as well as space rental and booth setup/removal for companies who exhibit, had the worst cost rankings in 2009 and 2010. In 2009, 55% of companies said trade show costs were above average and only 18% said they were below average. These figures improved moderately in 2010 (48% and 22%, respectively), but still left trade shows as clearly the least cost-effective marketing channel. Inbound marketing is continuing to grow in importance at the expense of outbound marketing, according to other findings from the State of Inbound Marketing Report.